It not only provides a strong argument for the benefits of children struggling to find their own answers but also provides an understandable and executable structure. I’ve highlighted the key areas with the times they appear in “Key Points” below. 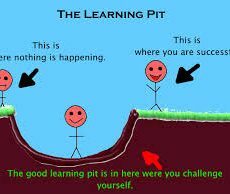 Key to my current responsibilities is providing ideas and tools to help teachers continue to improve the quality of the learning in their classrooms. 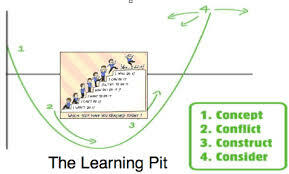 I’ve used The Learning Pit in London in the past as part of the conversation around how to embed this, but was reminded of it again by a tweet from @JamesNottinghm and am now including it in my toolkit. can you get the sense of eureka without struggle? What about The Bright Kids?